Known as the capital city of Iwate Prefecture, Morioka is located at the center of the province. It has a population of about 300,000 people and a total land area of 886 square km. This means that the average population density is about 335 people for every square km. The city is known for its impressive tourist destinations and its awe-inspiring view of Mount Iwate from almost every point of the city. The Iwate prefecture is made up of 10 cities with the city of Morioka as its capital. This is located in central Iwate Prefecture, right on the Kitakami Basin. It is where three rivers (Kitakami, Nakatsu, and Shikukuishi) converge. This is why there are a number of dams around the city and its neighboring municipalities. What is interesting about Morioka is the fact that its history dates back to the Paleolithic period. It is a famous site for Jomon period tombs and caves. On top of that, more tombs were found which are believed to be dated back to the Yayoi and Kofun periods. During the Shogunate era, Morioka became the home base for the Nanbu clan and became one of the centers of their power. This is mainly due to the strategic location of Morioka. Morioka became a prefecture in the late 1800s after the Meiji restoration but was established as a city later on. This city in Japan is known to have a humid continental climate. This means that it has quite extreme temperatures during specific seasons. For instance, summers can experience both warm and hot climates. Then, winters can be quite severe where average temperatures can go down as low as -3 degrees Celsius. On top of that, there is well-distributed rainfall throughout the year. On average, the hottest months occur in the months of June, July, and August. Then, the coldest months range from November to March. Average temperatures during the month of March is around 2.2 degree Celsius. For those who wish to travel to Morioka can check and search weather forecasts online and it is highly advisable to do so because the average temperatures in this city or region can be quite different from those of other regions in Japan. It might be a good idea to be well prepared for warm clothes in case of sudden temperature drops. A few websites to check accurate temperature and weather could be Accuweather and the website of the Japan Meteorological Agency – providing national coverage of weather and daily temperature. It is also advisable to check news websites, channels, and stations for the daily coverage of temperature. There are a number of good hotels and ryokans in the area. These include the Shikitei which is a Tsunagi Onsen found in the heart of the city. Not only is it a great place to relax and enjoy but it is also near a few tourist destinations like the Gosho lake. There are both indoor and outdoor hot spring baths in this Ryokan. This is best for those looking for a traditional taste of Japanese living. The next most impressive hotel in Morioka would be Hotel Ace Morioka, for those looking for a more modern taste of living in Japan. It is western-style and is located at the city center of the Morioka. It could be easily accessed via railway stations and is walking distance from popular cafes, bars, and restaurants. Just like other places in the world, there is a spot in Morioka known best for its nightlife – the Nakadori Area. In this place, there are several popular bars, cafes, and restaurants that could be enjoyed by both locals and tourists. There is a piano bar in the area for those who wish to enjoy some luxurious night out, there are also places to enjoy live music from underground Japanese bands. The best experience can be provided by the small pubs in the small streets of Nakadori, these are tiny but interesting places which could be occupied only by a handful of people at a time. The city of Morioka can be easily accessed from different points of Japan, including Tokyo, Akita, Aoyama, and more. This is primarily because of the East Japan Railway Company which is also known as JR East. There are currently three railway lines running via JR east, two shinkansen line, and one galaxy rail line. The Railway lines from JR East includes Tohoku Mainline, Yamada line, and Hanawa line. The two shinkansen lines include the Akita Shinkansen and the Tohoku Shinkansen. There are also a number of highways and expressways running through the Morioka city. The most popular of these would be the Tohoku Expressway. The airport nearest Morioka would be the Hanamaki Airport which is the only airport in the region. It serves international and domestic flights from four different carriers including China Airlines, Fuji Dream Airlines, Japan Airlines, Thai Airways, and Tigerair Taiwan. Morioka is quite known for the “Three Great Noodles of Morioka” which are local delicacies which could be enjoyed in almost every local restaurant in the city. The first great noodle is the Wanko Soba, which is Japan’s form of unlimited noodles. 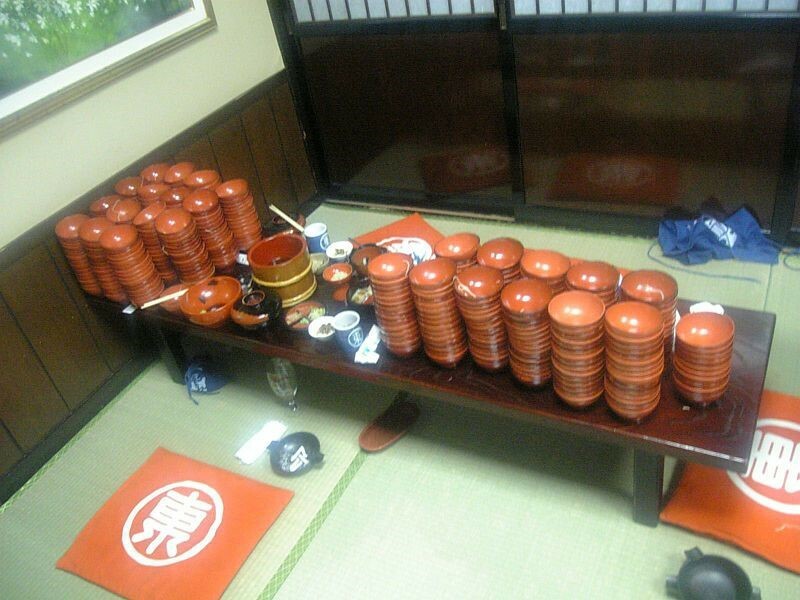 Usually, an empty bowl will be filled up again and again until the customer indicates that they have consumed enough. The second great noodle is the reimen which are a type of ramen which is closely related to the Korean ramyeon. It is spicy with a hint of kimchi but kept neutralized with a slice of fruit, cucumbers, and hard-boiled eggs. The third great noodle is the jajamen which is a type of udon with miso soup and meat. It is garnished with onions, sliced cucumbers, and ginger. Also known as the Iwate Morioka Stadium, this is one of the most popular sports-related attractions in all of Japan. It is located in Morioka city, Iwate Prefecture somewhere in the northern regions of the country. This particular stadium has been in use since it was built in the mid-1960s and it has been a popular location for events like track and field, football, rugby, and J. League games. However, in the recent decades, it does not meet the revised specifications and standards set for official games. Because of this, the stadium has been refurbished in 1999 and is known to be the home grounds for the famous Grulla Morioka team. This particular tourist destination is one of the most popular and fantastical in all of Morioka. 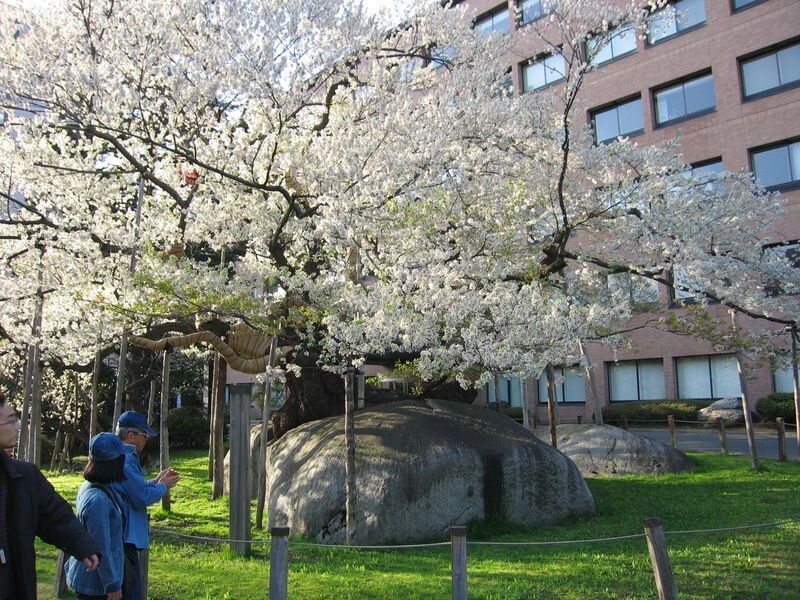 Although it seems too good to be true, it is a natural site where a 400-year-old cherry tree literally grew in the middle of a giant granite boulder. However, it is unsure whether it was the tree that broke the boulder or the tree grew in a crack between the giant rock. Regardless, the natural site is an impressive piece. It was declared as a natural treasure in Japan in 1923 and is located right in front of the Morioka District courthouse. One of the primary tourist attractions in Morioka city is the Iwate Museum of Art. It was opened in 2001 and has been the home of the works of popular artists like Yasutake Funakoshi and Shunsuke Matsumoto. Unlike other art museums in Japan, this particular place focuses on exhibiting works from local artists and rarely from foreign artists. This is why this is the usual place for local Japanese artists to hold their meet and greets. They are most famous for paintings, sculptures, and even pottery all of the modern origins. This place was built in 1932 and it popularly held the crown for the most popular racecourse in all of Japan. It is owned by the Iwate Racing Association. Unlike other racecourses which only cater to automobile racing, the Morioka Racecourse was well known for flat racing and thoroughbred racing – all involving horses. With the decline of the use of dirty type and grass type courses, the famous racecourse almost lost its popularity with the public. This is why it was refurbished in the mid-1990s so it could cater modern specifications and standards for horse racing instead. 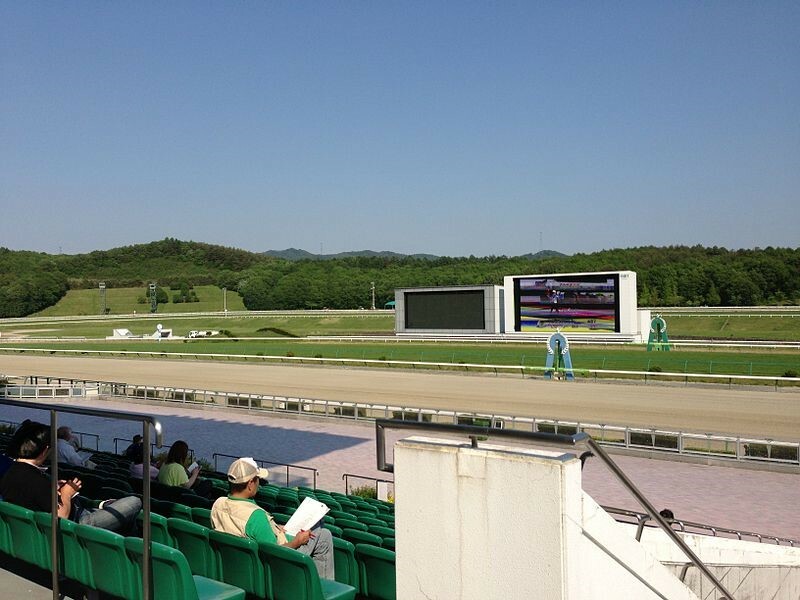 The Morioka Racecourse remains the famous grounds for the Mile Championship Nambu Hai in Japan and the Mercury cup. The Ho’on-ji temple, also known as the Temple of 500 disciples, is one of the popular Soto sect Buddhist temples in Japan. Many Japanese followers of the Soto sect visit this temple because it is a popular zen meditation spot. In ancient times, it was the most popular zen meditation training center not only for the public but for its resident monks. It is called the Temple of 500 disciples because it is home to about 500 Buddhist statues. Inside the temple lies the gigantic rocks which are featured in the local celebration of the Sansa Odori Festival. It is located in the north-eastern section of Morioka. It is open every day between 9:00 AM to 4:00 PM and admission rates cost 300 yen for adults and 100 yen for children. One of the temples that visitors will pass through on their way the Ho’on-ji temple would be the Mitsuishi shrine. This ancient shrine is most popular, in history, for being the origin of the name of the Iwate prefecture. There are three gigantic rocks inside the shrine with handprints believed to be from ogres or oni. These creatures were believed to be the protectors of the land and were responsible allowing (or, in some cases, preventing) evil men from entering the land of Iwate. Since the mythical handprints have incredible popularity in the area, the land with which it belongs to was named ‘Iwate’ or literally, ‘rock hand’ in English. Constructed in 1611, it was the primary home of the Nanbu clan of Iwate, Japan. This particular clan was known to be the dominant ruler of the Mutsu Province of the Tohoku region during this century. It is also known as the Kozukata Castle and it is located in Central Morioka. 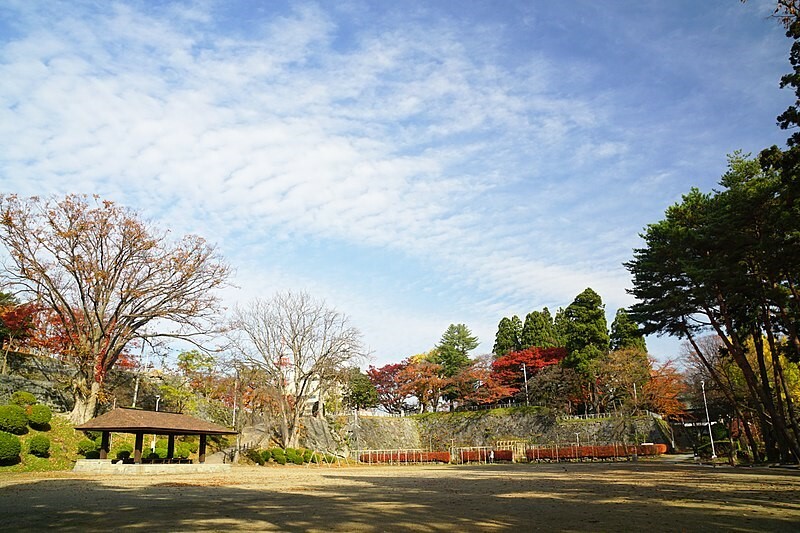 It is surrounded by the Iwate Park, which is also known as the Morioka Castle Ruins Park. There was a time in Japan’s history when it was the grandest castle in the region. However, through the Meiji Restoration, part of the castle was destroyed and now lay in ruins. The Morioka Hachiman-gu, or Morioka Hachiman shrine, is one of the oldest Shinto shrines in Japan as it was founded in the late 10th century. It was originally established by Minamoto no Yoriyoshi as a place for praying for his victory in the Nine Years War. It is dedicated to the kami, Hachiman, who is believed to be Emperor Ojin and Empress Jingu. It was also the protective shrine of the Morioka Castle. With its age and grandeur, the Morioka Hachimangu is known to be one of the 100 best Soundscapes in Japan. It is also the home of the annual Chagu Chagu Umakko festival. The Sansa Odori Festival is the largest dance festival in Japan. It is held every year between the 1st and the 4th of August. The parade is consisted of about 10,000 people – flutes, drummers, and dancers combined. The Sansa is a type of traditional Japanese dance which originated from the Iwate prefecture. It is a celebratory dance – a form of festivity for pushing out the demons in the city. According to legends, a demon spreads bad luck throughout the region, causing trouble, and unrest among the locals. The people prayed hard to the gods and soon the gods intervened. The demon who was frightened by the presence of gods promised to stay in good behavior. As a seal of this promise, the gods asked the demon to stamp his hand on rocks. Thus, the region was named ‘Iwate’ or ‘rock hand’.